Why do I need a car key replacement by a car key locksmith? Requesting the creation of a new car key means the existing one is either broken, damaged, lost or you simply want to duplicate a new set of car keys. Whatever the situation is, there is always a reason why car owners request for the creation of new car keys for their vehicles. Below are some of the most common reasons why you will need a new set of keys to be created for your car. The above reasons forms the bulk of problems and challenges most car owners come across on daily basis, which competent locksmith companies like Chiko’s locksmith can help to resolve, including creating your own spare key. There are some vehicles that cannot be opened by any of the conventional means of retrieving lockout keys, and such cars will most likely need the creation of a new car key. The process can be successfully done even when there is no spare key, by making use of what is refer to as a “code machine.” A car key locksmith uses the code machine to cut a new key using a code, which also comes handy when you have lost your key and there is no remaining duplicate. 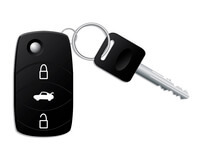 Creating a new car key is also perfect insurance against most types of lockouts in the future. Having a new spare key securely kept at home or in the hands of a loved one is a sure way to protect against lockouts near or around your home. The new car key creation process will vary with the time needed, depending on the complex nature of the key. Do I Need My Original Key for a Car Key Locksmith to do the New Car Key Creation? In case you don’t have the original key, you do not need to worry. New technology has made it possible for a car key locksmith to create car keys without physically having the original or duplicate of the key that need to be replaced or duplicated. Once Chiko’s locksmith verifies your ownership of the vehicle, your key can be cut from code using your Vehicle Identification Number (VIN). Our locked out of car service incorporate modern tools and techniques that ensures your car key replacement need is met exactly as you want it. Can My Transponder Key and Key Fob Be Programmed By a Locksmith? Exactly right! Any member of our technical team of auto locksmith can effectively program your transponder key. The chip of the transponder will have to be blank to ensure the success of this process, but have no fear, because at Chiko’s locksmith, this can be taking care of. We make your new car key creation a painless experience for you. 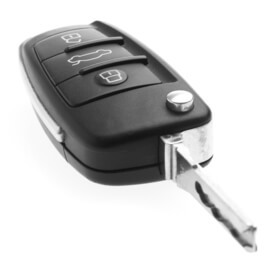 As regarding your key fob, we are also much capable to program it. However, a new device that has not be programmed will be required because, a fob that has been programmed to a particular car cannot be reprogrammed. Our Chiko’s locksmith auto technicians can get and program key fobs, including keyless entry devices. No matter the nature of auto key replacement service you need, we are always here to help, including all your roadside repair needs.